March is a big time in the annual vehicle cycle, lots of Marques release their new versions Models and Revisions to Existing models be it a slightly altered body, new lighting array, or just a collection of tweaks and improvements. I believe this march Honda are releasing their new diesel engine too for example. This is partly fuelled by the the new Number Plate revision which will be AA18 Range. 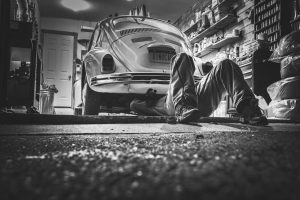 With these new models and new financial tax year means lots of new cars are bought and sold around this time which makes this MOT Season, now is the time to prepare. There very many reasons for a vehicle to fail its Annual MOT, I’m obviously not talking about serious safety or dangerous issues here. I’m talking about some of the very easily avoidable failures; of which there are nearly 75,000 each year. Many of these are often down one of three things (1), simple ignorance, (2), lack of basic maintenance/upkeep and of course (3), blatant stupidity. Many of these common problems can be fixed or least checked in mere minutes and take no time at all for the vehicle owner to rectify. Other problems cost a few pounds and a little time to solve in advance but could cost much more on the spot. Especially if you leave your MOT to the last minute and don’t have the time to shop around or could require a second day off work to re-test. I have bundled these together has the top trinity of common failures which aren’t really within my silly list but are easy and basic tests and shouldn’t be so common. (1), Tyre Tread Below 1.6mm, (2), Headlamps Poorly Aimed (usually too high) and (3), Brake Pads Below 1.5mm. At least 2 of these should be routinely checked, and easy to do within seconds at home. Most tyres have Tyre Wear Indicators (TWI) in the tread which you can easily see and/or feel, I recommend this Tyre Wear Guide by Birdgestone. It shows you wear patterns, and how to find the TWI. Bottom line, if you can feel a good lip on your TWI, your legal, if its a slight/smooth lump your in advisory town, and if its level and smooth, its fail city. If your headlamps are illuminating the entire car in front of you, and certainly if they are illuminating the drivers cabin in front or lighting up the cars on the other side of the road, you either have High-Beam on, or they are aimed too high for your load. Your headlights should illuminate part of the curb side, and half way up the average car in front and not shine into the cabin of the car in front and not shine across into on-coming traffic. This simple guide will help you avoid a failure which could be avoided by simply turning them down using the height adjuster. Alternatively this FREE PDF Guide to Headline Alignment may help if you want to check your alignment yourself more than height. Brakes, well unless you know what your looking for this can be tricky, but you can often see some of your pads and feel if they are thin. If you have a quality pad they often have special metal rod inserts which once worn down to near the legal limit they start to make a squealing / screaching noise to alert you and the noise gets louder and louder the more of the inserts are exposed. A good rule off thumb If its been a lot of miles since your last pad change, its worth asking them to do a quick check before hand. Almost 2,500 people was refused an MOT, because the test centre refused to even enter the vehicle. This could because of mud and dirt specially on off road vehicles, but other cases its been due to fungus and mould growth in the vehicle. Masses of fast food containers, left overs and other general rubbish. Spend Ten Minutes giving your car a quick clean up, doesn’t need to be Kim and Aggy but does need to be reasonable or the test centre can refuse to do it. Almost 1,700 people failed because they had no screen wash fluid in the vehicle. This is a routine maintenance task and would take a few minutes, but it will require a retest and booking more time off work. While checking your screen wash, check how effective your windscreen wiper blades are, perished, ineffective or damaged wiper blades can all lead to a failure which several thousand also failed for poor wipers. A few squirts and cleans and you’ll easily see if you need replacements, if the window isn’t clear after the wipes, replace them. Over 1,500 people failed due to various number plate related issues. The vast majority was dirty number plates, too dirty to easily read, so give them a quick wipe if they look cruddy. Other common issues was incorrect colour plates used (Yellow/White or Black), Illegal Fonts and Spacing. Over 125 people turned up with a missing or no number plates at all on their vehicle, part of me thinks these people was thinking road worthy test rather than MOT but still, check your number plate is in good condition and actually there. Almost 1,000 people failed because of various things obstructing the drivers view. This can be things hanging from the rear view mirror, satnav / mobile phone suckers, stickers on the windscreen. When you checked your windscreen wipers, a quick look whether anything is obstructing the path where your wipers clear should indicate if its a potential problem. Its worth removing it to be sure, or asking if you are unsure. If your boot is full to the brim with sporting goods, shopping, rubbish or you have child seats fitted or anything else which obstructs free access to the vehicle, you could end up with an MOT Failure. Child Seats can be removed (to allow seat best tests) and put into the boot, most test centres are fine with this, but other stuff, leave it at home. Its worth being a good driver and letting people you see in carparks know if you spot their lights out, you never know they may save you time and money, so return the favour. Any Dashboard warning lights will need sorting out before a test, you have little or no hope of passing, so don’t waste your time. While re-tests are generally free, if you have left it to the last minute, you maybe left with no car to drive as no cert = no drive. You also have to consider the time off work and the hassle of a re-test so 10 minutes of your time before hand can save you serious time and money. I was told 2 of my tyres was close to the legal limit, based on my driving mileage we estimated I had a few months wear. The dealership would have wanted approx £140 per corner to replace, balance and fit. A local independent or black circles or similar, would be about £170 for the pair, so considerable saving. You can always ask the garage if they offer pre-MOT tests, which are usually a 10-15 check of the most common failure points, all of these reasons I listed here would be covered by this quick check which is often free with your MOT or Service or costs a few pounds. You can then shop around and handle some of the repairs/replacements yourself.